Come celebrate Fat Tuesday at one of Ramsey’s four Lexington locations. Ramey’s Fat Tuesday celebration is a Lexington staple. They’ll have fresh crawfish, red beans and rice, gumbo, king cake and drink specials. Ramsey’s is the Lexington Cajun Connection! They fly in over 1200 pounds of live crawfish for this festival! This year’s Bourbon n’ Toulouse Fat Tuesday Party is on February 28th! The festivities will start at 11:00am and will run late into the night! Their party is going to include: Alligator Etoufee, King Cake from Sunrise Bakery, beer specials, and a Crawfish Boil starting at 6:30. They’re going to have 500 pounds of live crawfish flown in Tuesday morning! The Chevy Chase Inn will open at 11:00am to allow for more places for diners to sit (must be 21+). The party will really get going Tuesday evening at The Chevy Chase Inn with Hurricanes, Abita Brewing Company Beers, and great Blues Music from The Tallboys (of Kentucky). Don’t feel like fighting the crowd? You can pick up their food by the quart and by the gallon. Please pre-order by Monday night by calling 859.335.0300 or emailing catering@ilovecajun.com. Chef Jonathan Sanning and his crew at Smithtown Seafood will set up a Mardi Gras dinner and raw oyster bar in the West Sixth Brewing Co. Barrel Room, beginning at 5 p.m. on Tuesday. The Smithtown Cajun Plate, with chicken and andouille jambalaya, shrimp and crawfish étouffée, maque choux, garlic bread, King Cake from The Midway Bakery and a West Sixth firkin, is $20. For $30, add a half-dozen fresh-shucked oysters. Oysters will be available for individual purchase. Find a sticker on the bottom of a firkin glass and win a West Sixth prize pack. 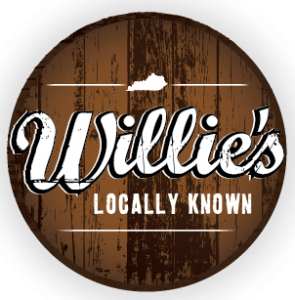 Willie’s Locally Known is bringing Mardi Gras to Lexington in style! They’re going to have a Crawfish Boil, Cajun dishes, king cake, and frozen Soco Hurricanes. They’ll have live music by Paw Paw Gumbo and will have the Kentucky game on at 9! Al’s Bar will be having a delicious low country boil with crawfish, shrimp, sausage, potatoes, and corn as well as a variety of other cajun options! They’ll be giving away free masquerade masks and free beads! 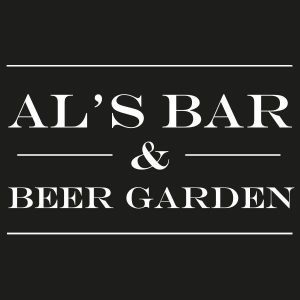 Al’s Bar will be projecting the UK game on the big screen at 9! Don’t miss it!